You have probably heard about humidifiers, know friends and family who use one, or may even have one in your own home. But what you may not know about are the many benefits that are associated with the use of a humidifier, as well as the fact that humidifiers need to be serviced, or replaced, over time to ensure that they keep your air home as comfortable as possible. Simply put, a humidifier adds moisture to the air. A dehumidifier, on the other hand, remove moisture from the air. Both can be important during different times of the year, and depending upon the climate you live in, and personal preferences and health needs. Combat other conditions and discomforts associated with dry air. What’s more, a humidifier can also help to protect your home and home’s furnishings, reduce static electricity, and may even reduce your home’s utility bills! Replace an old humidifier that is outdated. At Van Drunen Heating & Air Conditioning, we install and maintain the highest quality humidifiers on the market. 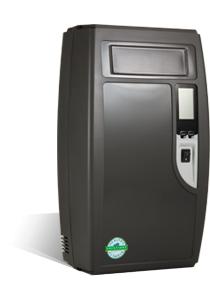 Our humidifiers, manufactured by Aprilaire, are guaranteed to last longer than any other brands on the market. We also offer installation, maintenance, and repair of a variety of other Aprilaire air quality products, including dehumidifers, air cleaners and purifiers, thermostats, and ventilation systems. Work with Us Today – We Know What We’re Doing! Our team at Van Drunen Heating & Air Conditioning knows what we’re doing – after all, we have been in business in South Holland and surrounding areas of Illinois for 50 years. If you want to improve the air quality in your home, or are struggling with dry skin, a respiratory illness, asthma, allergies, or snoring, a humidifier may help. To learn more about our humidifiers, please contact us today. We are here to help you, and quote is always free! You can reach us today by writing us a message using our online form, and a service professional will be in touch with you shortly. If you need to talk to someone now, please call us at 708-339-6444.